This new celebration aims to encompass writing, film, drama and art activities. There will be a Gothic market for writers and traders to showcase their work and a range of related creative events. Theme: A poem in the gothic tradition incorporating folklore and myth. Prizes: A cash prize will be offered to the overall winner 30% of all entry receipts will form the prize fund. 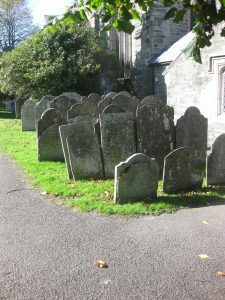 There will also be a second prize of 30% of all the entry fees awarded to a ‘Gothic’ poem based around Tavistock and incorporating its Gothic and Neo-Gothic Heritage. Additional runners-up prizes of books will also be awarded. The prize winners will be notified approximately two weeks prior to the prize giving. The remaining 40% of the entry fees will be used for administration costs and for festival and library events. Presentation of the Prizes: The results will be announced, and the prizes presented at a special event. Judging: The judging will be in two stages: a final short list of poems will be judged by a panel of librarians, authors and publishers. Shortlisted entries will be ranked by a final judging panel. Tips: The judges will be looking for interesting and original poems. Entries must be in English, original and not previously published in any form or broadcast, and no longer than 250 words excluding the title. Closing date: May 31st, 2019. Entry fees: Adults – £2 for first entry, £1 for second or subsequent entry. If you intend to submit multiple entries, please submit all entries together. If acknowledgement of receipt is required, please include a stamped and addressed postcard. All emailed entries will receive a receipt when their entry fee is received. and a copy to myfanwyc@btinternet.com or delivered by hand or by post to Go Gothic – Poetry Competition to Tavistock Library, The Quay, Plymouth Road, Tavistock, Devon, PL19 8HF, UK. Please include your payment by cheque (in sterling) made payable to The Friends of Tavistock Library or BACS Transfer: Account name: Friends of Tavistock Library, Account number: 32152922, Sort code: 602149. Payment may also be made in cash at Tavistock Library.